Window blinds are a common home accessory because they serve a variety of purposes with tons of options available in different price ranges. Let’s take a look at some of the ways they can be a benefit to your San Diego area home. In San Diego blinds are an easy way to have total control of the light that is coming into your home. Depending the direction your house is facing, you may want more light coming into some rooms and less in others. 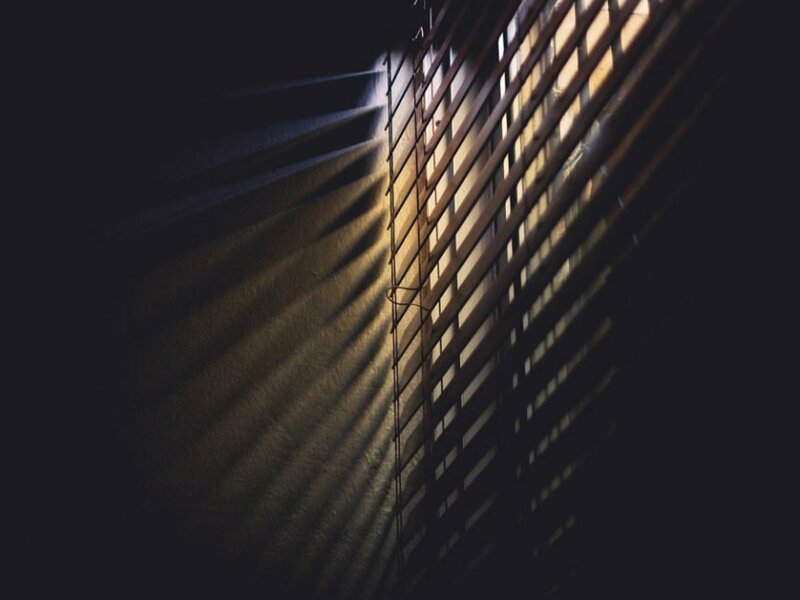 With blinds, you can cover or uncover an entire window, or leave it somewhere in between. This will come in handy when you want to let the sunlight warm up a room instead of turning on your heater or keep the sun out and keep the room cooler. Blinds come in all kinds of shapes, sizes and colors. Vineyard Blind & Shutter has some of the largest selections of blind styles in San Diego, like faux wood, composite and natural wood. You can choose something that will work and be uniform throughout the whole house, or pick a variety of styles that will work in individual rooms. No matter what the shape, size and design your windows are, a set of blinds will be a perfect fit. If you, like most people, enjoy your privacy then blinds are a good option to keep your neighbors from seeing what you are doing. Do you like to walk in the door and immediately take off your pants to be more comfortable (like Murray Goldberg from the ABC television show “The Goldbergs”)? With a good set of blinds, you can do it without wondering if the neighbors noticed. Maybe you like to watch the game on a nice big TV. Keep your blinds closed and you won’t have anybody trying to catch the action from outside. You can even arrange the slats so nobody can see in but you can still see out. A good set of blinds will help you keep other people’s noses out of your business. Most styles are pretty easy to take care of…..usually just needing to be dusted from time to time. For example, there is a big difference in the cleaning of blinds and curtains. Curtains will likely require a full on washing. Would you trust your kids to get that job done right? Maybe. Maybe not. But could they do a little dusting of the blinds? Heck yes. It’s a great chore to assign as you see fit. Probably nothing more than a damp cloth and a quick wipe will do the trick. Do you like having your hard-earned money? One way you can keep more of it in your pocket is to let the sunlight coming in through a window help heat up your home instead of using your heater. That’s probably best for winter. In the summer, you’ll want the blinds to keep that sunlight out so your air conditioner doesn’t have to work so hard. Blocking out that sunlight should also help keep your furniture from fading and keep it looking good for a longer period of time. Blinds are good for your health? Controlling the amount of sunlight in your home can help reduce eye strain and the headaches that can come along with it. This can be helpful for reading, watching TV, etc. Blinds can also be a good option for people with allergies. Allergens, including dust mites, won’t collect on them as much as on window coverings made from some other materials. This is especially good if somebody in your home has asthma or another respiratory condition. You’re really going to want blinds in the kitchen if you like to cook. If you’ve got something covering your kitchen windows that is made of any kind of cloth, it could easily absorb the smell of whatever you are cooking. You don’t want your San Diego blinds to smell. Blinds are designed to have a long lifespan – especially the faux wood style. They look like real wood, but won’t warp, crack or fade like wood has a tendency to do. This is a great option for anyone with kids or pets in the house. One great option blinds offer is that they can come without cords. These are easy to operate and have no safety risk for your kids or pets. Some can even be operated by remote control or connected to your phone. They can be set to open or close automatically at a certain time or temperature during the day. If you want blinds in the San Diego area, Vineyard Blind & Shutter is where you want to be. We are here to help your home or business look great. We offer all brands and types of blinds, shutters and shades. All of our window treatments are custom made specifically to fit the windows in your home. We specialize and work in many areas of So. California including Orange County, Oceanside, Palm Springs, Temecula and San Diego. Give us a call at (951) 757-4188 for high quality blinds that look good and can also save you energy.